What first comes to mind when someone tells you that “you can start working for free”? My first thought was “start working but not get paid for it”. I know, Lionbridge didn't mean it that way in Monday's promo offer for Translation Workspace. They meant that you can start using their new translation platform without paying for it (but only until the end of June). Given, however, that you will have to pay for Translation Workspace to continue translating for Lionbridge (doing work that you used to be able to do with the clunky, but free, Logoport), the first interpretation contains at least a grain of truth. Lionbridge claims that you will be able to use the new system for other translation projects, no longer for Lionbridge jobs only. 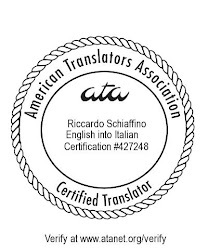 Since most professional translators already own one or more translation memory programs, having to pay for an unwanted extra tool is an unappetizing prospect. I foresee a huge problem once Lionbridge starts talking to other LSPs, who are of course direct competitors. I imagine a response something like this: “They want me to give them a month-by-month rundown of how much I translate?”. Since the monthly payments depend on the number of words handled, Lionbridge would know how many words each translation company runs through the new platform. The same for freelancers, of course. Would you tell your customers what percentage of your turnover they represent? Think how such information could be used against you: if Lionbridge knew that most of your work is with them, they would be in a better position to play hardball when negotiating rates or demanding discounts. For more about Translation Workspace, see my previous post: Lionbridge’s Translation Workspace: my thoughts. Is the data safe? Won’t we risk Lionbridge having access to the memories we use for other customers? From what I hear, such concerns are unfounded: the servers in which the data is stored are under third-party control, and Lionbridge will not have access to other users’ private memories and data. Is this an attempt by Lionbridge to monopolize the translation market? Even such a large player as Lionbridge has not a big enough market share to monopolize the market. According to Common Sense Advisory “Ranking of Top 30 Language Services Companies”, in 2009 Lionbridge was the second largest translation company in the world by revenue. The market share of the thirty largest translation companies combined, however, was only about a quarter of the global market. Our industry is still very fragmented, and no player is able to monopolize it. Translation Workbench is certainly aimed at improving Lionbridge’s position. Whether it will succeed, is an open question. Are they going to use the data to feed machine translation? No way of knowing for sure, of course. Many translation companies (and other companies as well: see Google) are mining the data they own to build up translation memories and feed them to statistical MT systems. This is going to continue and increase in the future. I believe that translator will have to adapt to this and learn to use MT as a tool (just like we did with TM earlier). What about LSPs (or freelancers) who work mainly for Lionbridge: won’t they be forced to adopt Translation Workspace? Companies and people who rely for most of their income from a sole customer are in a much weaker position when trying to resist that customer’s demands. Will we have to pay for the words we translate in Translation Workspace for Lionbridge? (That is, will the words translated for Lionbridge be applied against the subscription?) No. According to all Lionbridge’s material on Translation Workspace, work done for Lionbridge will not count against the words purchased with the subscription. What about words translated for Lionbridge, but indirectly (for example, an LSP accepts a project from Lionbridge, and then assigns it to freelancers): will these be applied against the words paid for? Probably not. The LSP should be able to assign the work to its freelancers in a way that does not otherwise affect their TW tenancy. It might depend on how the projects are set up, though. Please note: all of the above is my own opinion and interpretation, based on the information I have. It does not reflect or represent in any way Lionbridge's official position. I am not affiliated with Lionbridge, and have no access to any Lionbridge insider or confidential information. Thank you for reminding me of your post. The comments are indeed very interesting. It will be interesting to see how many people actually start using this tool, especially among freelancers. Time will tell. I know I am not very inclined to "work for free" for only a few months or to pay to work for an agency. @Riccardo: thank you for a very thoughtful summary and insightful comments - very helpful to see your balanced, analytical approach. @Jill: what I wanted to bring to the discussion on your blog is facts, without evangelizing or taking anyone's side (I am not writing on behalf of Lionbridge, however as a localization professional I am interested in the topic). A lot of commenters seemed to be misinformed about how word metering worked (work done for Lionbridge is billed towards a freelancer's subscription), it caught my attention and I wanted to clarify that. I believe that each translator will be able to decide for themselves, in the end - and I certainly encourage them to do so! I acknowledge that Lionbridge has the right to decide to charge for TW. Since this is what Lionbridge has decided, I would like people have the as much information as possible to decide what to do, and I think that such information should be balanced, without attributing to TW defects it does not have (but also dispelling overoptimistic claims about its strengths, and pointing out the issues that the new platform presents). I think that demanding payment for the TW tenancy (even to people that have no intention of using it for non-Lionbrdige work) is a wrong move on Lionbridge's part. You say that each translator will be able to decide for themselves, however, I think you are being a bit disingenuous: all the people for whom Lionbridge represent a substantial part of their income will not have a real choice - they will be compelled to use and pay for TW, whether they like it or not. That, is one of the reasons why I think Lionbridge's decision is wrong. While I understand your point, isn't it the same for all other localization companies that have their own CAT tool? Aren't you forced by your customers to use this tool or another (and having to buy your own license)? Isn't a common practice in our business? I thought that when you use the tool for Lionbridge projects, you don't have to pay - they sponor it ? Translation Workspace was the final development it took for me to resign my collaboration with Lionbridge. eProcurement was almost too much already (every time I thought of it, let alone use it it was sure to raise my blood pressure), but bring in money in order to get work - no thanks! You have been nominated to the following category: Language Professionals. @ Julien: most other translation companies do the require the use of a specific translation tool, but it normally is a tool in widespread use, that you can use for many different customers (e.g., Trados, SDLX, Wordfast, and so on.). @Riccardo: So we agree that it is common practice to be imposed a tool by the customer, a tool for which you have to pay for in case you don't own the license already. I simply see Translation Workspace not being much different as these other tools. You pay for it and you can use it for all your customers. I did not have a chance yet to look at the different subscription plans but the most important is the total cost of ownership compared to the other tools. Hello Riccardo, thanks for your post on this topic. I had a look at the subscription plans for this tool and as far as my knowledge and use of CAT tools is concerned, LTW is in a class of its own - and I say that in a pejorative way. You're right when you say that you pay for it and you can use it for all your customers, but here's the catch: the more you work, the more you pay for it. The "basic" subscription plan costs 10€/month and allows you to translate up to 5,000 source words. That's it. 5,000 source words (no distinction being made between 100%/fuzzy/no matches). Every single word beyond that threshold will cost you 0,001€. So let's say you like the tool but you translate more than that in a month. The next subscription level is at 25€ for 30,000 words (annual plan is 272€) and so on. Say you're comfortable with these figures: still, 4 years of LTW will cost you twice what you'd pay for using Dejavu X Freelance Edition… forever. Then, when you have enough of the tool and want to cancel your subscription, you should also take into consideration a 3-months cancellation fee (150€ for NOT using LTW anymore!!! How insane is that? ), or a 3-months headsup before cancellation. This seems to me the worst marketing move in CAT technology ever; I find all this just appalling. ...sorry, I got the numbers wrong on the cancellation fee: correct figure is €25 x 3 = €75. thanks for the blog.. i enjoyed reading it.